More than $715 million has been donated to the University of Missouri’s fundraising campaign, with $65 million raised in the last six months. Mizzou’s goal is to raise $1.3 billion by 2020. Donations would help renovate the engineering school, increase the endowment to recruit students and faculty and help build several new centers, including a Center for Constitutional Democracy, School of Nursing, School of Music, fine arts center and a teaching winery. 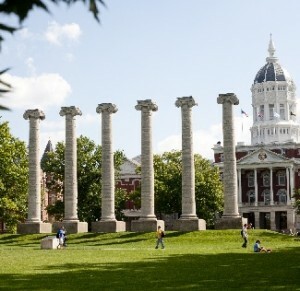 University of Missouri vice chancellor of advancement Tom Hiles says last fall’s unrest at the Columbia campus raised questions and concerns among donors. Hiles says fundraising officials have fielded over 2,000 phone calls and emails since last fall’s unrest. Racial protests in November on the Columbia campus led to the resignation of former system President Tim Wolfe. Former professor Melissa Click was also caught on video for calling for “some muscle” to be used to block a student journalist during those protests.